Welcome to the Global HR Trends Summit 2- Turkey's biggest global HR event! After last year's phenomenal success, the Global HR Trends Summit is back to Turkey with brand new speakers, amazing presentations and cutting edge discussions on the latest global HR trends. So, what can you expect at Europe's most innovative HR event? Register today and see why over 5,000 HR professionals in 10 countries have attended the Global HR Trends Summit. Talent: Now You Have It, What Do You Do With It? In today’s business world turbulence is the new normal. With an ever-changing corporate landscape, it is even more important to have your finger on the pulse of your organization, because certain factors might be putting your business at risk. In this cutting edge workshop, Creating a Pro-Resilient Workplace, you will learn how to create a positive & productive environment in your workplace, creating employee engagement and providing a healthy atmosphere. Barbara will introduce The HCRisk Monitor ©, a proprietary tool that enables you to identify main areas of human capital risk in order to better understand and mitigate them. Interested in promoting the event? Contact us today! Anne Morrison is currently a Senior Hearing Manager in the BBC’s HR department, hearing gender pay grievances and bullying and harassment cases. 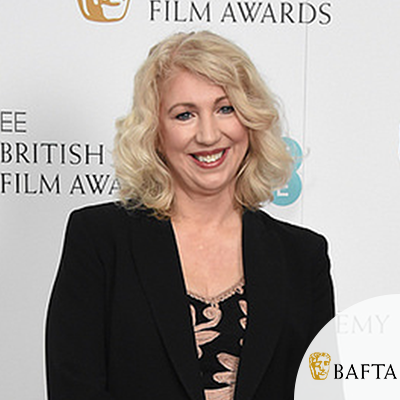 She is also Chair of BAFTA’s International Committee and formerly Chair of BAFTA from 2014 to 2016. She is Chair of Pearson College London, a Board Director of Women in Film and Television, a Trustee of the Charleston Trust and of Watersprite International Student Film Festival. She speaks internationally on issues such as diversity, employability, talent development and creativity and is an experienced executive coach and mentor. In 2018, she was awarded an honorary doctorate by Nottingham Trent University for services to Broadcasting, Television and the Arts. Until 2014 she was Director of the BBC Academy, the BBC’s centre for training, which she launched in 2009. Having been a producer/director, she held senior management positions for 20 years at the BBC, and, as Controller of Documentaries and Contemporary Factual, was responsible for hundreds of hours of factual television, including many award-winning programmes. Under her leadership, programmes as diverse as Dunkirk, The Secret Policeman, The Queen's Golden Jubilee, One Life, Mischief and What Not To Wear were made and Top Gear was re-launched. Julia von Dewall is the Global Talent Director at Unilever based in London. In her long term career at Unilever, she has held several senior HR generalist roles as the Global HR Director for Ice Cream & Beverages in London and the Global HR Director for the Pepsi Lipton Joint Venture based in Geneva. Julia holds a law degree and bar exam from the University of Bonn (Germany) and an LL.M. from University of Notre Dame Law School (USA). As member of the Rotary Club in London, she actively engages in voluntary work. As an interim HR Executive Keith has been taking on different interim roles most recently at NATS as Interim Director, People & Organisation Development, at Rolls Royce as Interim Group Head of Talent, Leadership Development, OD and TA, and at Aviva as Interim Group Head of Talent & Leadership Development. Prior to Aviva Keith enjoyed a 5 month career break having left eBay in May 2015. At eBay Keith was based initially in Singapore covering eBay’s Asia business then relocated to London where for 3 years he had a global role with approx. 30% of his time spent at eBay’s base in California. He had full responsibility for all areas of Talent Management, OD & Leadership Development and Learning supporting the eBay HR and Business leadership teams. Before joining eBay Keith worked in Dubai responsible for all Talent, Leadership Development and Learning activity for Barclays’ Emerging Markets business – 14 countries across Africa, SE Asia and the Middle East with18,000 employees. Prior to Barclays he was the Learning and Organisational Effectiveness Executive for Bank of America’s International business. 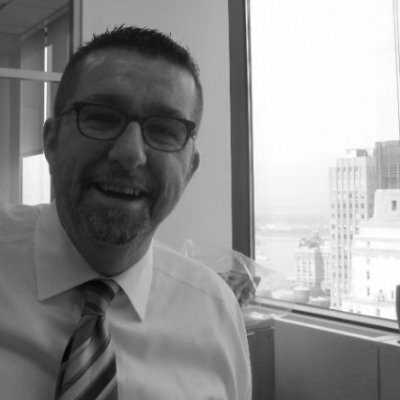 Based in London and with 2 years living in New York, Keith also worked at HSBC as the Global Head of Talent, Development, Learning and Graduate Resourcing for HSBC’s Investment Bank. 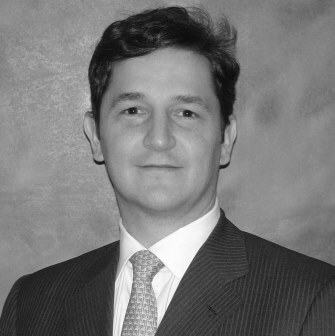 Arturo Poire is the Global Head of Talent Management for Ericsson. In this role, Arturo is directly responsible for Talent Management for the company, including: Executive and Leadership Development, Succession Planning, Performance Management, Diversity, Early Career Programs, Organizational Development and Employee Engagement. 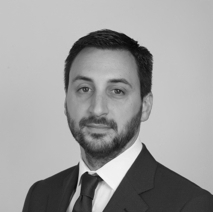 Prior to joining Ericsson in 2012, Arturo was the Global Head of Talent Management for Marsh & McLennan Companies (MMC), based in New York. Before MMC, he spent 12 years with Citigroup in HR Business Partner, Talent Acquisition and Talent Management roles and projects globally. The main areas of focus during his years at Citigroup were M&A Integration, Organizational Restructuring, Strategic Staffing and Talent Management. Ron Thomas is the Managing Director of Strategy Focused Group an international consulting firm based in Dubai. Ron is the former CEO of Great Place to Work-Gulf and CHRO of Al Raha Group, based in Riyadh. He holds certifications from HCI as Global Human Capital Strategist (GHCS), Master Human Capital Strategist (MHCS), and Strategic Workforce Planner (SWP) as well as New York University. Prior to consulting, he worked in senior level roles for IBM, Martha Stewart Living, Xerox HR Services [HR Consulting] in the US. He has been identified as one of the top 5 HR/Leadership thinkers in the Middle East by CIPD. He received the Outstanding Leadership Award for Global HR Excellence at the World Human Resources Development Congress in Mumbai, and was named as one of the 50 Most Talented Global HR Leaders in Asia. As a consultant and management educator, he has worked with companies such as Central Bank of Nigeria, Iran MTNCell, King Faisal Hospital-Jeddah Saudi Electric Company, BASHRM, JLT [Saudi Arabia], Dubai Tourism, American Hospital of Dubai, Dar Al Riyadh, Gulf Bank-Kuwait, Boybyan, Kuwait, CIMB Bank and Singapore Government Civil Service. 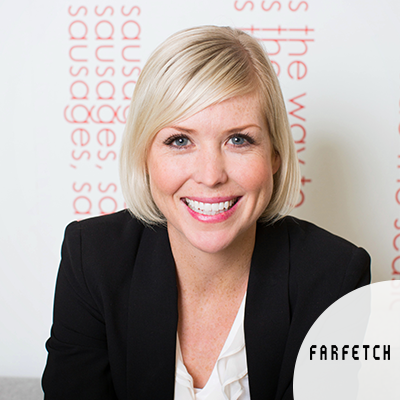 Kim has recently joined Farfetch, the global luxury fashion platform, as Global Director of People Development. She previously spent 11.5 years at Google multiple divisions including Learning & Development, and most recently the Cloud team, where she was Global Practice Head for Customer Change and Culture. She is an expert in change management, the psychology and neuroscience of change, digital transformation, organisational culture, leadership, innovation and high performing teams. She is a board advisor for the Culture Analytics platform Temporall and has had articles published in The Economist and Forbes and is a regular guest lecturer at London Business School. 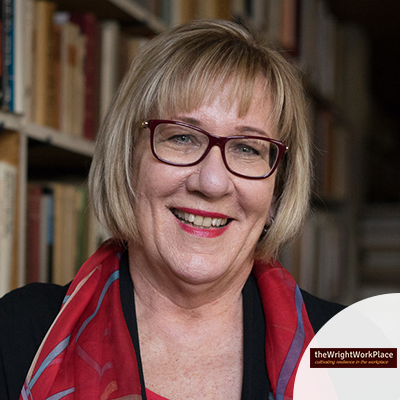 Specialising in selection and development of senior leaders for global companies as well as supporting Leadership Resilience and creating Burnout-Free corporate environments is what Barbara Wright-Avlitis is best known for today. She is a respected Learning and Leadership Development professional who has influenced business leaders in more than 32 countries, over the past 30 years, to strengthen their personal, team and organisational effectiveness through strategic learning. She worked for 20 years with 3M Company, in the U.S., Europe, the Balkans, the Middle East and Asia where she progressed throughout the organisation in sales, sales learning and organizational needs assessment. Her experience also includes serving as General Manager of HR and Global Head of Leadership Development, as well as Global Head of Leadership and Change for a few years short of a decade with ING Group (Banking and Insurance) in Amsterdam. This role extended globally. For the most recent 2-1/2 years, Barbara was the Global Head of Leadership Development for Novartis Pharmaceuticals out of Basel, Switzerland. Recently, she left Novartis to devote her full-time career to helping organisations build pro-resilient companies. The principle is that healthy and satisfied employees are more creative and productive when the company makes an effort to build a healthy work environment. That includes bringing leadership behaviors in line with sustaining a pro-resilient workplace. She is working on two new books, lectures around the world on the topic of Organisational Resilience and is consulting with select global organisations on Leadership topics. Alain joined Atlas Copco as Vice President HR for the Airtec Division in 2012. Atlas Copco is a leading supplier of industrial productivity solutions. The headquarter of Atlas Copco group is situated in Stockholm, Sweden. Atlas Copco is active in more than 170 markets around the world. From 1992 until 2011, Alain De Dauw worked for DHL Express in Belgium and Germany with project based international assignments to Singapore and the USA. Alain has 20 years of service with DHL in various HR functions, including serving as Regional HR Manager for DHL Aviation EMEA between 2000 and 2002 and as Global Mobility Manager for the DPWN Group between 2003 and 2005, a role that was responsible for the international assignment management of 800 expatriates. In 2010 and 2011, Alain was responsible for the relocation of the Brussels based EUHQ to the Global Head Office in Bonn, Germany. Masoud joined Aujan in August 2010. Based in Dubai and reporting into the CEO, Masoud is the top HR person in the business looking after HR, Property, Admin and Communication across all 16 Country operations. He has an MBA and a Post graduate diploma in HR. Prior to Aujan, Masoud worked for 13 years in various roles and many countries for Vodafone. He has also worked in Banking, Fashion, Retail and Food businesses. He has lived in Iran, UK, Italy, Spain, Netherlands, Turkey and UAE. He has significant experience both as a Transformational and Operational Director, leading large teams and budgets. 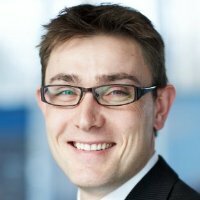 Beat Lauper is the Global Head Learning and Development at Zurich Insurance Group. As such, he is in charge of all mid-career and top-level learning interventions in the managerial/leadership space (from design to delivery), all professional skills training, and the entire field of learning innovation. Beat personally delivers programs for the top 500 leaders of the organization. With more than 30 years of experience as both, leader and trainer, Beat is passionate about organizational effectiveness through strong leadership performance. It is because of this, most of these programs have a strong experiential learning dimension aimed at supporting behavioral change. Beat was the Head Learning and Development for Deutsche Bank’s Risk Division based in London with similar responsibilities. Previous to his work with DB, Beat worked for ETH Zurich building and launching their Master of Advanced Studies in Security Policies and Crisis Management, a post graduate degree in cooperation with King’s College London and various partners in Washington D.C. He has spent 17 years in the Swiss Armed Forces, both in Switzerland and abroad, holding the rank of a Colonel General Staff. Beat started his professional career at Swissair. 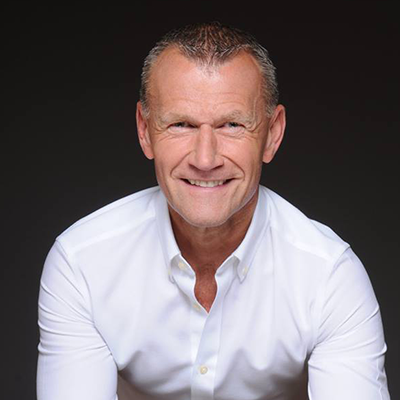 Bo Germansen is Business HR Partner at Novo Nordisk, where his main field of work is competence development in a project driven organisation. He works with implementation and optimization of core HR processes connected to talent recruitment and development. Previously Bo has held various senior HR positions at A.P. Moller - Maersk and Nordea Bank. His main fields of experience are strategic planning, LEAN Implementation, Human Resource management and he holds a Master degree in International Business and Marketing from Southern University of Denmark. Torsten Dalhoefer has more than 15 years of experience in Leadership and Organizational Development, both as a consultant and within large multinational corporations. Most recently he was the Head Leadership & Management Development at Zurich Insurance Ltd, responsible for Leadership Development initiatives on various levels. Before joining Zurich Insurance Company, Torsten held similar roles on Group level in Credit Suisse (Banking), Kuehne + Nagel (Logistics), and AXA-Winterthur (Insurance). He started his career as a Management consultant and trainer at Management Zentrum St. Gallen (today Malik Management) one of the most prestigious management consulting firms in German speaking Europe. It was there that he developed an in-depth knowledge of the topic of Leadership from a business perspective.